PLC stands for Programmable Logic Controller. It is an industrial computer control system that is placed in order to monitor the input devices and makes decision based on a custom program controlling the state of output devices. It is frequently used in industry since every machine function or process can be enhanced using this control system. While using a PLC you can change and replicate the operation considering the data and information you’ve collected with it. It is modular, which means that you can make a customization over the types of input and output devices so that they will match your application. It works using four basic steps in the operation, an input scan, program scan, output scan and housekeeping. All the stages are taking place into a repeating loop. The first one is detecting the state of all input devices that are attached to it, the second one is executing the user created program logic while the output scan is there to energize or re-energize all the devices putted in the output, connected to the programmable logic controller. The last phase is taking care of the communication with the programming terminals, serves as internal diagnostic and so on. It was invented back in 1968 after a request for proposals for an electronic replacement for hard-wired relay system based on a white paper. It was written by engineer Edward R. Clark. There were a lot of proposals, but the winning one was from Bedford. After they made the first PLC controller, they started developing, manufacturing, selling and servicing their product. Back in that time, PLCs were made for replacing relay logic systems. They were programmed as a schematic diagram of relay logic. After placed, their job was to reduce training demands for existing technicians. They had an instruction list programming based on the logic solver. In today’s world, PLCs can be programmed in many options, considering the person dedicated to do the job and the thing they are solving. The diagram designed to program them is based on state transition diagrams. Some of them worked by displaying the elements as graphic symbols. Today, there are basically two types of contacts in PLC’s – normally open and normally closed switches. The first type means the contact is on when pressed and the opposite of that, normally closed one is then not pressed. The contact is the real inputs such as sensors, switches etc. Their functionality has evolved during the years. They are almost desktop computers, since the data handling, storage, processing power and communication capabilities are making them function on almost same principles. 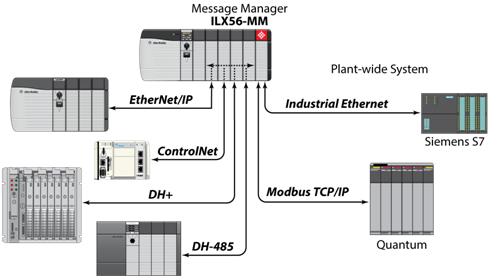 If you want to learn more on the history of PLC systems, you can continue by reading this Wikipedia article https://en.wikipedia.org/wiki/Programmable_logic_controller. How to choose the best PLC? 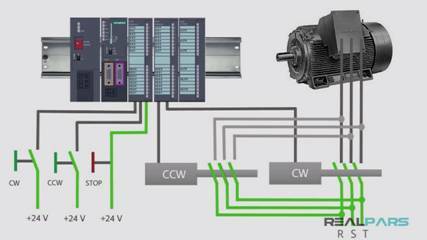 Choosing a PLC is not an easy task because there are varieties of systems on the market. Besides the price you will need to pay, you must keep in mind some basic steps that must be followed so that the system will suit your needs, or the needs of your application. You must be aware of the methods of powering your PLC (AC or DC voltage), knowing if it is running fast enough to meet the requirements of your application, also, you should take a look at the software used to program the PLC, be aware of the number of inputs and outputs you need in order to get the job done. Some questions such as handle analog inputs and outputs, combination of both, communication with your PLC, network connectivity and location of the system must be considered as well. 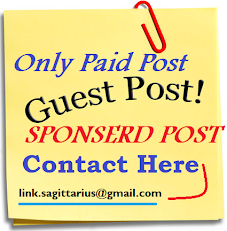 If the explanation made previously is not enough for you to understand the concept of the program itself, you can always use some external links in order to continue with the process of learning how this works. In order to do this job, you must be a PLC technician. Their job is to design, repair, program and maintain the programmable logic controller. When knowing overall plant systems and the interactions of processes, you can install and repair many systems including safety and security, energy delivery, communication and systems in control of the process. One of the responsibilities includes installing and service measuring and indicating instruments in order to monitor the process control variables linked with PLC’s, as well as to monitor the operation of the equipment. Even though it may sound complex at first, learning how to use a programmable logic controller is not extremely hard thing to do. Besides, there are online sites which offer you a PLC training programs which can help you learn how to do it without many difficulties. Being a logic controller technician will make you able to use the basic technical skills and knowledge which is necessary in order to know how to work with the PLC systems. The program is covering the work of various types of PLC systems, including discrete and analog devices. The software used is simulating the Rockwell Logix 500 series of PLCs. Once you’ve decided that you want to know more than how those systems work, you must pass through the process of understanding the basic lines. You can learn how to do it very easily. If you are willing to dedicate your time in doing it, there are varieties of options online, courses which can help you become this kind of technician, and explore the things happening in the middle of the input and output processes. After you’ve decided to put money on it and consider this as your future passion, you should follow the lectures and start using the things you’ve learned so far for learning how to work with this types of systems. The ability of following the course online will help you learn a new skill staying in the comfort of your own home, which sounds like an excellent opportunity to improve your skills besides the academic ones.